Please introduce yourself. Who are you? How old are you? Where were you born? Etc. Give the readers some background about yourself. HI everyone, I am Bill Campbell, I’m 56 years young, born in Titusville, PA and have live on both east and west coast. I am a Retired US Navy Master Chief Petty Officer where I spent 23 years working on Ballistic Missile Submarines in Charleston, SC and Kingsbay, GA.
Do you compete equipped (squat suit, bench press shirt & deadlift suit) or unequipped (no suits) or both and what weight class(s) and divisions(s) do you compete in? I compete equipped in the 120+ weight division; I still try to compete in the Open and the M2 divisions most of the time. What was your last competition and how did you do? 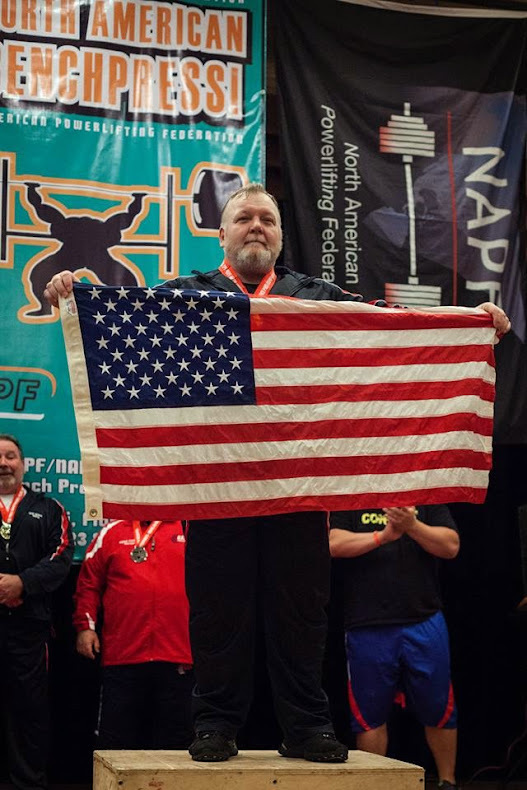 My most recent competitions were the 2014 Masters Bench Press World Championships in New Castle, UK in April, where I set my 1st World Record (306kgs) (I am currently ranked #17 on the IPF 2014 Bench Press rankings regardless of age and I am the oldest person in the top 25), and then the last meet the 2014 Central Florida Championship in Orlando, FL 6/14//14, where I completed the 1st bench press over 700lbs for a Masters 2 lifter in the history of the USAPL/ADFPA as far as any records I have been able to find. I made 320kgs (705.25lbs) for the new M2B American Bench Press record on my third lift. When was your first competition? I first competed in the ADFPA in Monks Corner, SC. In 1985 I believe, have been hooked ever since. How did you improve from your first competition to your most recent? Equipment and training knowledge has improved tremendously since then, my max bench press back then was 395-425 lbs on a good day. What is your next competition? What do you plan on doing differently for that meet if anything? Nothing different that my last couple of meets, I think my training partners and I have figured out the best way for my success, hard work and keep pushing to get stronger and prepare for the lift attempts at the meet. Where are you located in Georgia and where do you train at? As a Christian certainly I believe that Jesus is who He said He was and is, but I look at people like Kings David, a murder and adulterer who became known as a “Man after God’s own heart” and Saul also a murder and persecutor of Christians who became the Apostle Paul and I know that no matter what I have done, God can and does make a way for me through Jesus Christ. And then I have a friend who having been left at an orphanage as a baby at the end of WWII and grew up in East Germany, overcame all of that and escaped it became an American citizen, served this country in the US Army for 20 years and is one of the most honorable people I know. He started out as a Powerlifting buddy 20 plus years ago and became a good friend and is still a great source of motivation for me even now as he is getting ready to turn 70! I am also a 3rd Degree Black Belt in Tae Kwon Do. 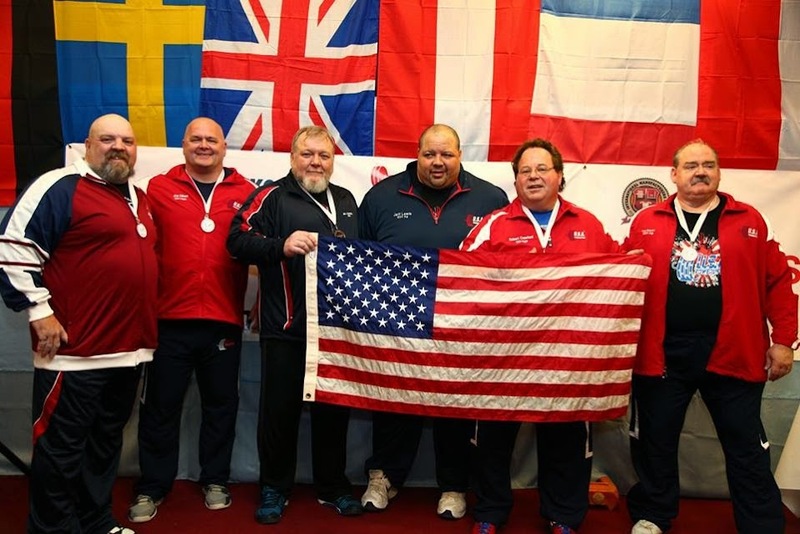 Is there anything about powerlifting you would like to change or wish was different? There are so many things, but most of all I think I would like to see more consistent drug testing under a more centralized international federation. I get tired of the in-fighting between federations. Are you involved in powerlifting in any way besides as a competitor? I am a USAPL Certified Club Coach, one of the few in the State of Georgia. What are your biggest squat, bench press, deadlift and total numbers? And how do your best training numbers compare to your best competition numbers? What advice would you give a new lifter just starting out? Eat right, stay natural, build a strong base and perfect your form. I can never over stress the importance of technique and form. Utilize a variety of exercises to get strong but perfect your form!!! What are your short term goals now as a lifter? What are some long term goals you would like to achieve? 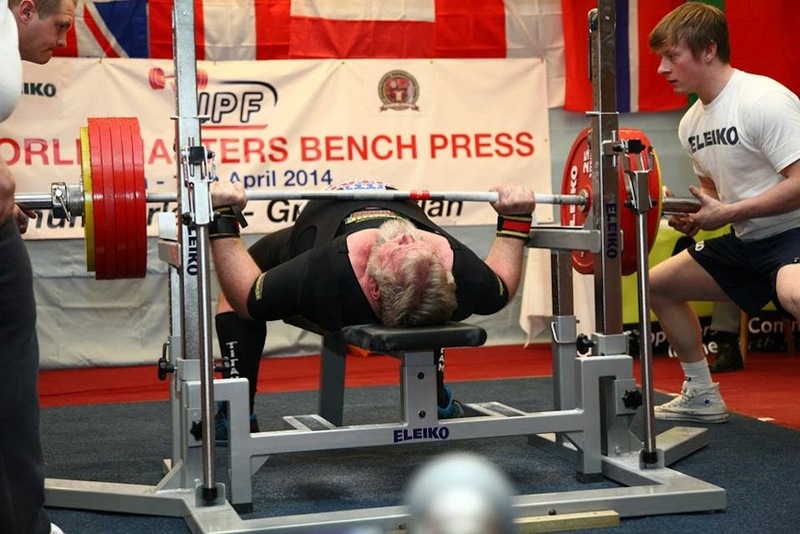 Win the Masters Bench Press World Championship and the Arnold in the same year! 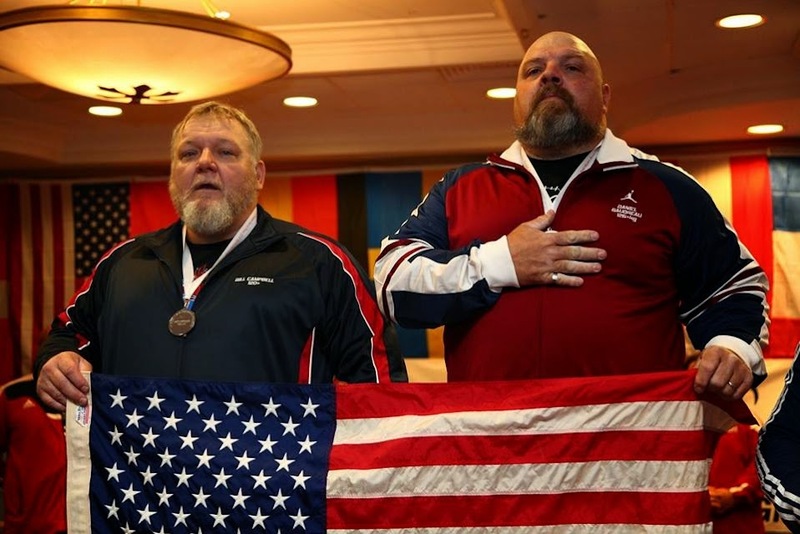 Who is your favorite powerlifter of all time? I once knew a guy in Charleston, SC., his name was Ernie Surell, he owned Charleston Barbell Club way back then, Ernie worked for the shipyard in Charleston back then. Once they had a local base meet and I showed up, Ernie was the judge then and I have been lifting ever since. In the mid 80’s Ernie was squatting 900 lbs with the equipment we had back then it was impressive to see him lift. Can you describe your training philosophy and/or a typical training session? I follow along the lines of Westside Barbell’s Conjugate type training, but I also train with people much younger than I am (I am over 20 years older than everyone else) so I am not sure who is trying to keep up with who. What is your favorite lift, squat or bench press or deadlift or all three and why? I am a bench guy, but try to keep my squat up. Do you have any rivals in powerlifting? Not really, but to be the World Champion I will have to beat the current Champ and he has held the title for 14 years now. If we're sitting here a year from now celebrating what a great year it's been for you, what would be the reason? Winning the Arnold Classic, Masters Bench Press World Championship and being a member of the USA Open Bench Press World Team.